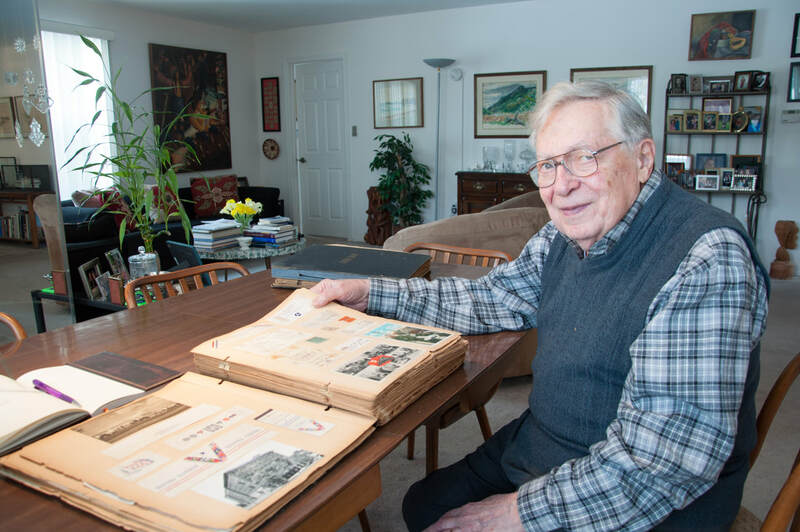 The Ghost Army Legacy Project today published 52 wartime letters from Sergeant Harold J. Dahl on its website. These letters document his experiences from first joining the 603rd camouflage Engineers in 1942 until returning home in 1945. They cover such topics as life in the Army, being called on to carry out a secret deception mission, heading overseases, confronting the horrors of war, and the celebration at war's end. A special postscript explores the story of a wartime romance and a search through historical archives for an answer to a 75-year old mystery. Harold Dahl enlisted in 1942 and rose to the rank of Sergeant in the 603rd Camouflage Engineers. The Dahl collection is one of the largest and most varied in the Ghost Army Legacy Project Archive. There are five boxes containing 431 items. Donated by Dahl’s family. The collection includes several hundred original wartime photos, and 225 letters that Dahl sent home over the course of the war. There are also a variety of other items including newspaper clippings, manuals, maps, a flattened C-Ration can, and more. Great article in the venerable Jewish magazine "The Forward" about Ghost Army pals Seymour Nussenbaum and Bernie Bluestein. 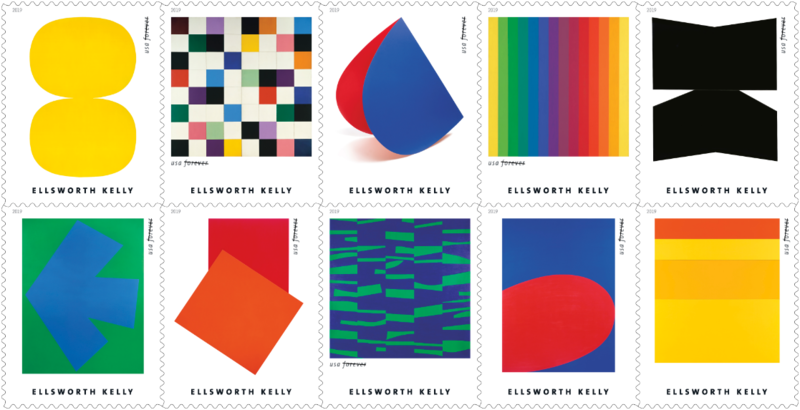 The US Post Office has announced that it is bringing out ten new stamps honoring artist and former Ghost Army soldier Ellsworth Kelly later this year. 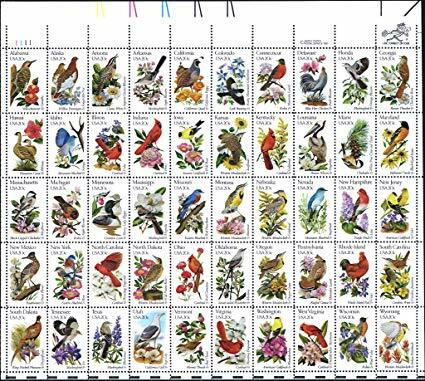 The stamps feature ten Kelly paintings ranging from 1951 to 1971. "Kelly pioneered a distinctive style of abstraction based on real elements reduced to their essential forms" says the Post Office in its announcement. 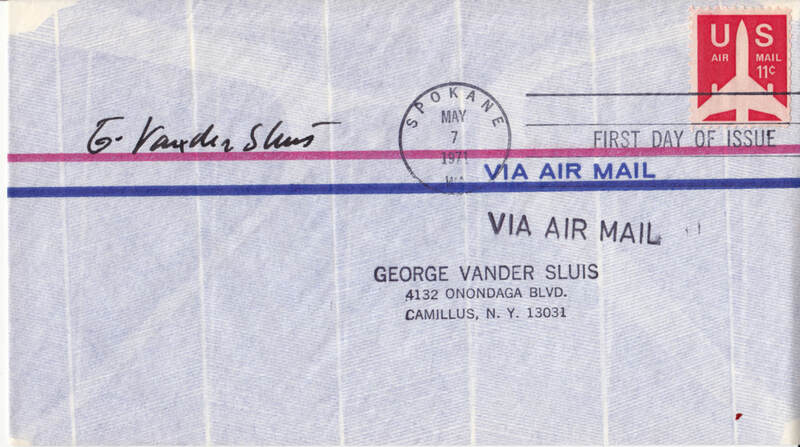 This first day cover of Vnder Sluis's air mail stamp, signed by the artist, is part of the Ghost Army Legacy Project collection. Chicago Tribune: "A top secret 'Ghost Army' of artist-soldiers fooled Hitler’s troops. One of its last members is living a quiet life in Schaumburg"